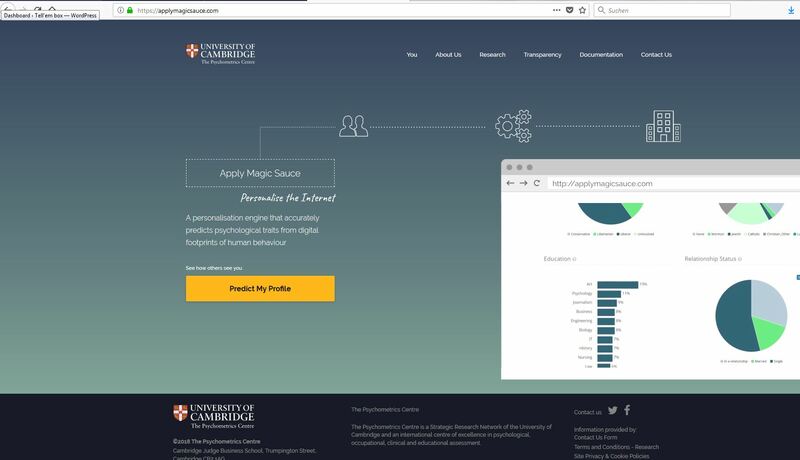 If you do not know your psychogram on Facebook or Twitter you can use the online Tool from Cambridge University. With this tool you can see what predictive analytics and Facebook/Twitter knows about your personality. Cambridge University is not related to Cambridge Analytica. Cambridge University is located in the U.K. and is a really renowned university. They used scientific methods for analysing Facebook Likes and Tweets. With this example it is understandable why Facebook can make such a huge turnover with data and advertisements.